Do most Cuban-Americans want to end Cuba travel ban? A survey released today by Bendixen & Associates indicates that 59 percent of Cuban-Americans support lifting the ban on travel by all Americans to Cuba. Cuban-Americans have long been divided on the travel ban, the least popular aspect of the U.S. economic embargo of Cuba. The poll results indicate that they are increasingly supportive of dropping the ban for all travelers. President Obama has fulfilled a campaign pledge by removing restrictions on Cuban-Americans to visit their relatives in Cuba. Some in Congress hope to go further by unleashing American tourists. The poll gives them a piece of evidence to strengthen their case. The issue is especially important in South Florida, home to hundreds of thousands of Cuban-Americans as well as many other Americans who want to legally make the short hop across the Florida Straits to visit the island. 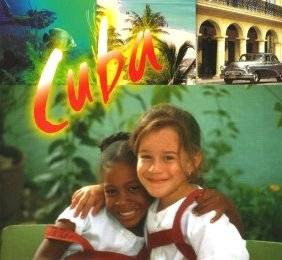 A similar Bendixen survey in April 2002 found that 46 percent of Cuban-Americans favored granting all Americans the right to travel to the island, while 47 percent were opposed. “What is most surprising is that this shift in Cuban-American public opinion is being driven mainly by the older historic exile segment of the community, which has traditionally only supported confrontational policies toward the Cuban regime,” said pollster Sergio Bendixen of Coral Gables. The survey was conducted late last month of 400 Cuban Americans nationwide. It has a margin of error of plus or minus 5 percentage points.